At Eco Efficient Halifax, we have highly experienced engineers who are gas safe certified to handle any service request for boiler or heating system installation, repairs or servicing. We can solve issues acting on small home-based heating systems to large industrial use boilers. We have been in the industry for 15 years, and we are still growing. Our procedures and service plans adhere to the highest standards of all safety and compliance. We are accredited by leading brands, and we can handle any service request regardless of the boiler or heating system model involved. We have a long list of references that can vouch for us and our positive reviews are a demonstration of our industry prowess and proficiency. At Eco Efficient Halifax, we are more than an average boiler and heating service provider. We have established strong partnerships with brands, suppliers, and manufacturers. As such we have access to the highest quality parts and replacements. We are creative in our craft, and we endeavour to offer the best quality with every task we carry out. 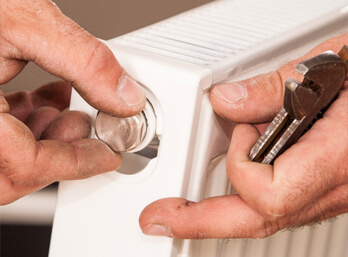 We can install, repair and service modern central heating systems without wincing. We know the details, and we can fix your under floor system, repair pipe work and fix faulty radiators. We have been at it for 15 years and our skills are unsurpassed. Nowadays, boiler and heating system technologies keep evolving. New technology has come up and brands have become sophisticated. As such, we keep abreast with new trends in the industry and we are always training our engineers to handle the most complicated boilers and heating system models. We have honed our skills collectively and there is no boiler brand we cannot install or repair. We know where to go for genuine parts and we offer grand manufacturers warranties. We strive to offer you some peace of mind with every service we offer and we are keen to deliver solutions that augur well with your energy and lifestyle needs. 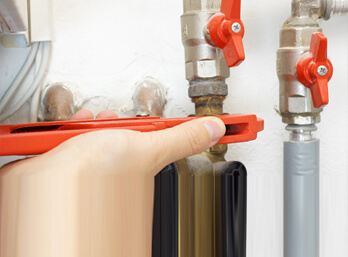 Ignoring boiler faults and defects can lead to bigger issues and eventual boiler breakdown. When left unserviced, boilers tend to deteriorate and they will push up your energy consumption to unimaginable levels. To avoid the risks and dangers of relying on an underserviced boiler, call Eco Efficient Halifax. We will provide appropriate boiler servicing plans to keep the appliance performing excellently. We can offer you custom service options or the conventional annual boiler servicing. We will make sure that the boiler is operating hitch free for the next several months. In Halifax, no other boiler repair service can match our level of professionalism. We can troubleshoot, diagnose and fix inconspicuous faults before they become a nuisance. We rely on a team of highly trained gas safe experts, who have been repairing all kinds of boilers for 15 years. Trust us to fix any fault and we will act fast even in times of emergency. Your boiler will be energy efficient if it’s properly installed. Not all boiler installers in Halifax have the skills and techniques to deliver fault free installation. At Eco Efficient Halifax, we have the skills and we are attentive to details. We want you to invest in a boiler that suits your budget. Before we install, we will discuss available options and help you pick one that is well attuned to your needs. Our quotes are competitive and we never pressurize you to pay for unnecessary products or parts. Let Eco Efficient Halifax assist you if you have a life-threatening gas and boiler leak situation within your home. Carbon monoxide exposure can harm you or your loved ones. Combustible gases can trigger fires with devastating consequences. We have modern leak detecting gear, and we have our safety gear to help you fix the problem without much ado. We are minutes away and our customer support team will dispatch a skilled gas and boiler leak technician to sort you out. You will need proper heating at home before winter arrives. Before then, consider installing a heating system that will enhance your comfort and meet your budget. We can install gas, electric or renewable energy source appliances. If you have to replace the pipes underneath your floors, we will be particular and we will keep time. To reduce the risk of faulty central heating systems, ask Eco Efficient Halifax to provide fast repairs for parts or components. 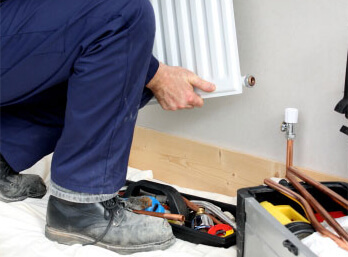 Our gas safe listed engineers can repair any heating system problem on site. We have mobile service vans that will come over to fix that nagging and recurring system problem. Call us today and we will attend to your boiler and heating system service request, we are unrivalled in our service delivery. Call us and we will offer affordable, reliable and professional services for your boiler and heating system needs.